It's cold and blustery out so thought this photo was fitting. 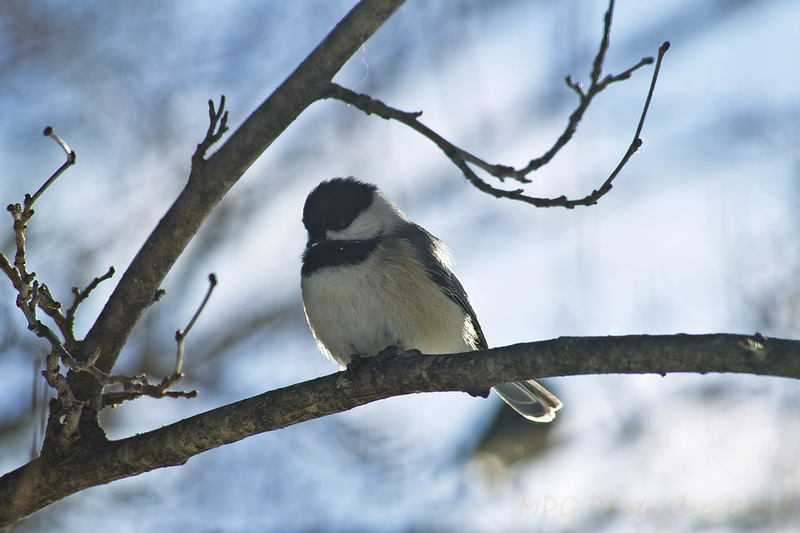 On a cold and blustery day this past winter I finally was able to capture a fairly decent image of a Black Capped Chickadee. Usually they are flitting about so much and never sit still that you can't capture them well. On this day, he or she was hunkered down against the wind that you can see ruffling it's feathers a bit and I was able to get a shot in a natural setting for once and not on a bird feeder or pole.